At Villa Optometry, Dr. Angelica Villa, our Chula Vista optometrist, offers comprehensive bilingual eye care services. The whole family can enjoy high-quality, personalized attention from an eye doctor who speaks English and Spanish. Explore the services offered by our Chula Vista Eye Doctor, who also serves Rancho Del Rey, Sunbow, Terra Nova, Otay Ranch, Eastlake, Bonita and Imperial Beach! 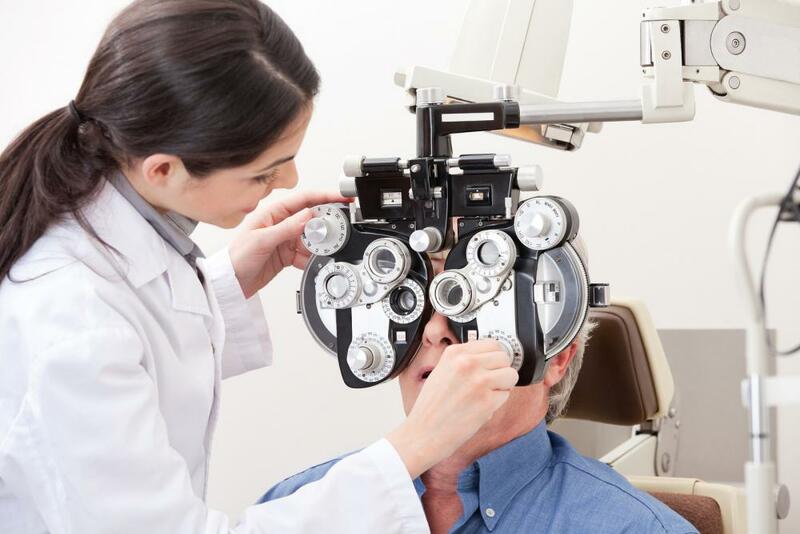 Eye exam - Our comprehensive eye exam includes eye health evaluation, eye focusing, eye teaming, and eye movement testing in addition to visual acuity and refraction to determine if a prescription is needed. Contact lens exam – A contact lens evaluation allows us to fit you with the best contact lenses for your unique visual needs. Dr. Villa will ensure you leave with contact lenses that provide you the best clarity, comfort, convenience and ocular health possible. Hard to fit contacts – Astigmatism, presbyopia, dry eye syndrome, keratoconus, allergies, and other complicating factors can make contact lens wear more challenging. Dr. Villa is experienced in dealing with all these complications to make your contact lens experience as comfortable and clear as possible. We fit toric lenses, multifocal lenses, hybrid lenses, rigid gas permeable lenses, disposable lenses and other specialty contacts. Pediatric Eye Exam - Dr. Villa offers pediatric eye care to ensure your child can see clearly. Let us check your child's eyes before they begin school and fix any pediatric eye problems, including amblyopia and strabismus, so your child is able to learn properly. Computer Vision Treatment - Heavy computer use causes eye strain, headaches, and pain. If you experience eye irritation, redness, pain, or headaches, come in for a computer vision syndrome assessment and treatment with Dr. Villa. LASIK Evaluation - LASIK is a surgical procedure to correct your vision so you can see clearly without needing contact lenses or glasses. If you want to know if you are a good candidate for LASIK or simply learn more about how LASIK can help you, we encourage you to set up an evaluation. Dr. Villa works with the best surgeons in San Diego to co-manage your vision correction surgery to ensure the best outcome possible. Eyeglasses and sunglasses - Our optical boutique stocks a wide range of designer eyeglass frames, including prescription sunglasses. Come on in and browse our selection of frames anytime - no appointment is necessary to view our frames! See the Best Eye Doctor in Chula Vista Today!